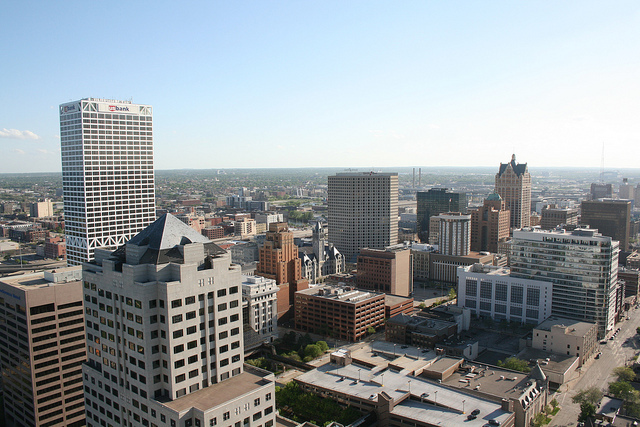 Welcome to the sixth installment of Eyes on Milwaukee. 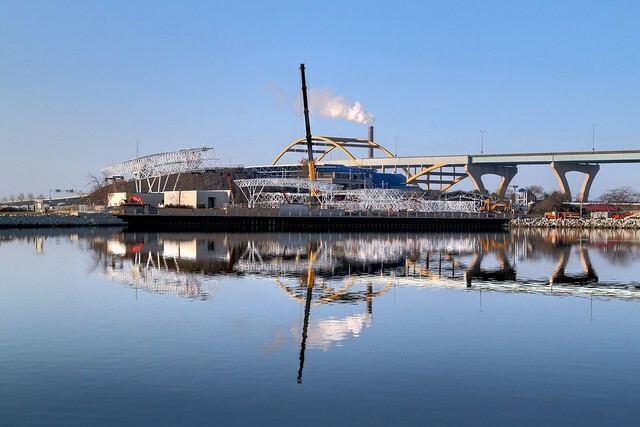 This week I take an initial look at Alderman Witkowski’s attempt to redefine Milwaukee’s historic preservation ordinance, the Miller Park sales tax’s sunset, the ugly turn Juarez versus Donovan has taken, and more. Milwaukee’s Historic Preservation ordinance appears likely to change at the outcome of Alderman Witkowski’s committee to study the matter. I won’t dig deep into the issue at this point, because as a result of yesterday’s Historic Preservation Committee it looks like the not-yet-formal proposal is likely to undergo a number of revisions before being formally submitted. Yet I can’t help but express my disappointment that with all the changes possibly coming, none of them appear to remove the extremely political nature of the process. Obviously the process will forever be political at its core, but making it harder for citizens to nominate a property, while making it easier for the Common Council to intervene is a step backward. The Miller Park Sales Tax is scheduled to end in 2017 according to the latest annual report. Despite economic setbacks which have dragged down sales tax collections (and the ultimate scheduled end date), the end continues to draw near for paying off the debt on The Keg. Will 2017 actually be the year? Will the tax exist forever? Does Bud Selig personally get a penny every time I go out to eat? The real question is when will discussions start on a host of other items likely to draw sales tax dollars in the future? Three different constituencies might be looking for a fraction of a penny on a dollar. A new stadium for the Milwaukee Bucks, with the latest rumor from Dave Begel being that Craig Leipold is interested in buying the team. The Milwaukee Police Department, Mayor Barrett was quick to slide in a .15% sales tax proposal for public safety the last time a regional transit authority tax was discussed. Regardless, the cliff is quickly approaching for a number of these issues. Push is going to turn to shove well before 2017 for transit at the very least, and I wouldn’t be shocked if arena deal discussions heat up as well. The Benjamin Juarez campaign appears to be fixated on Alderman Bob Donovan’s prior arrest for Disorderly Conduct, going so far as to release a one-page website on the issue. That would be news if it happened while Donovan was in office, but the incident in question happened in 1992 (Donovan was first elected in 2000). Even more odd is the fact that this has been brought up in past campaigns, and Donovan still won. Fixating on this issue appears to be a bit of a desperation on the part of Juarez’s campaign. While I haven’t been a fan of Donovan’s views on public art, the city budget, or the Milwaukee Streetcar, I hope this campaign returns to a campaign about the actual relevant issues in the 8th District. The tower crane at The Moderne has come down as the project chugs along towards completion. The exterior continues to look closer and closer to complete with the windows being installed to nearly the top floor. Construction appears to be underway at Casablanca on their second floor addition. The Water Council will break ground on their Reed Street Yards building renovation in June or July. Irgens Development is looking to redevelop one of US Bank’s garages (not the recently rebuilt parking garage) on Michigan near the lakefront. Sean Ryan’s latest Take 5 column is with Jerome Knapp, the new Executive Directory of the King Drive BID. Aurora has opened a new Walker’s Point Community Clinic in the Clock Shadow Building. Fresh Healthy Eatery & Juice Bar opened a few days ago at the Shops of Grand Avenue. As I speculated last week, Ian’s is indeed opening in the former What’s Fresh Deli near the corner of Water and Juneau. The Pedal Tavern will be back on the streets soon, with five vehicles this year. You’re missing out if you and 15 of your best friends haven’t gone for a ride around the Historic Third Ward. Pita Brothers and America Euros are both back on the streets. This will end my one-by-one food truck/cart reporting until the clustering starts up again. The Bay View Brew Haus abruptly closed this week, but will see new life soon as the Down and Under. Sound familiar? It should, Up and Under Pub owner Tim Brodersen will take over. The Up and Under Pub is a fixture for live music on Brady Street. Sil’s Mini Donut Shop, located at the corner of North and Oakland, will close at the end of April. No word on why, but the firm declined to renew its lease according to OnMilwaukee. Mere speculation, but I can’t imagine the influx of late night food in the past few years to North Avenue (Ian’s, Classic Slice, Subway, Z-Pantry) helped Sil’s bottom line. You will still be able to get the donuts at Seven Mile Fair and a variety of summer festivals. This week’s photo features the ongoing work to build a new permanent stage at the festival grounds. What about Donovan creeping on innocent people for years is not relevant to any campaign? It could have been you in that stall. He is chair of the public safety committee, that is why this is relevant. Sure, some people might know about this. But not everyone knows, and the people have a right to be informed as to who is representing them. This is not fixation, nor desperation. This is telling the truth and showing who Donovan really is. Nice work! Once again you’ve proven to be a better resource than jsonline! You guys should get Tom Daykin on board and take things over! The suggestions that Craig Leipold would move a new arena to the south side is just rediculous and I sincerely hope just the musings of the writter. Any location besides downtown would be pretty catastrophic…anyhoo that’s all just what ifs. I have lived in Donovan’s neighborhood for about 10 years. This is news to me!